Chris Young made a return appearance to ABC’s Jimmy Kimmel Live last night to perform his latest smash, “I’m Comin’ Over.” The song, which Roughstock declares “among the best vocals of the year,” has amassed more than 5.7 million views for the steamy new music video. “I’m Comin’ Over” is the title track to his fifth studio album, releasing November 13. View Young’s performance on Jimmy Kimmel Live HERE. Chris Young will be kicking off his “I’m Comin’ Over” World Tour September 30 in Nashville, TN at the new Ascend Amphitheater. 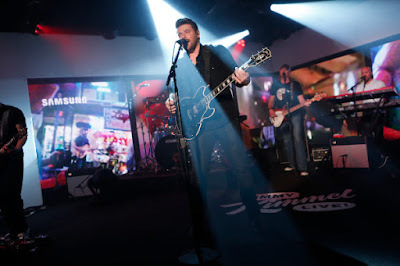 For a complete list of dates and to purchase tickets to catch the CMA, ACM and Grammy-nominated hit-maker on tour, visit ChrisYoungCountry.com.